Home Fab Lab Connect Fab13 – One To Remember! 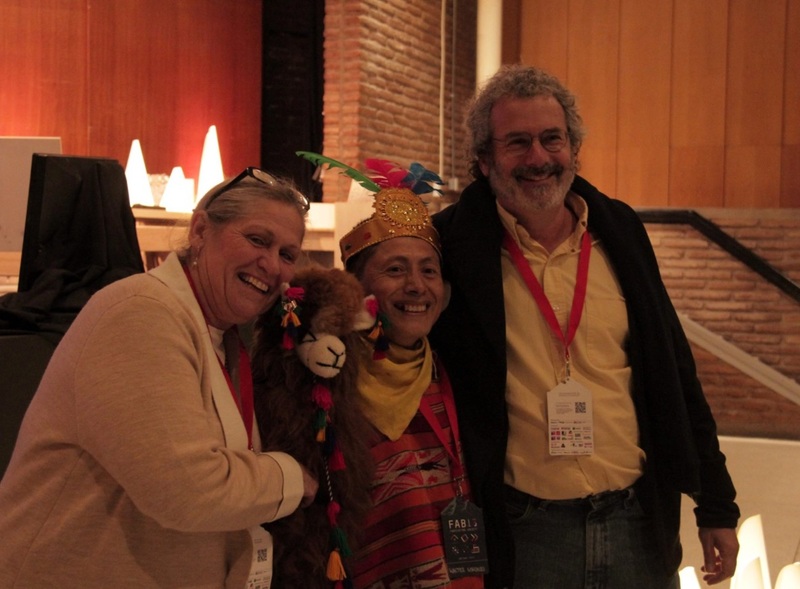 Fab Foundation’s Sherry Lassiter, Prof. Neil Gershenfeld and the prize-winning Peru delegation had a lot to celebrate at Fab13! Watch a video produced by Fab Lab Connect with images from Fab13. 1,000 people attended the Conferences, 500 people were at the Symposium, and 2,000 people participated in the Festival! By the numbers is one way to sum up Fab13 – the 13th International Fab Lab Meeting held in Santiago de Chile from July 31 to August 6, 2017. Each year, members of the more than 1,000 worldwide Fab Labs gather to share, discuss, collaborate and create communities around the different local and global interests regarding digital manufacturing, innovation and technology. This year, the central topic of #Fab13 was “Fabricating Society”! At the Santiago World Innovation Conference, Peru won first place – US $5000 – among more than 80 candidates. India and the United States also fared well. The Open BioFab Lima team won with a project to teach science in low-income schools through low-cost biolaboratories. The prize will be used to implement the program in a school affected by the El Niño phenomenon. One of the most impressive Symposium presentations was about Programming Matter, how you will control matter and give it the shape that you want. A Workshop with high attendance revolved around kids creating their own Drones, with simple equipment and components. What did you learn that will help you at your Fab Lab? What are you planning for next year’s gathering?